We invest in innovative technologies and make extensive use of GIS to extend our capabilities in mapping, visual communication and community consultation techniques. Our planning and urban design teams work closely with colleagues in graphic design, GIS and AutoCAD to strengthen our core business and deliver exciting opportunities to achieve more effective and efficient project outcomes. 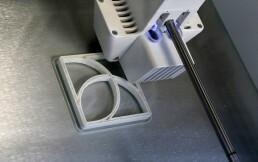 We have the capability to produce digital and printed 3D models in-house. 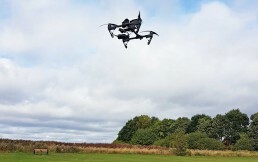 Recently we have begun to use drone technology to increase our understanding of site potential, exploring opportunities literally from a new perspective. It also allows us to combine with GIS and graphic design software to produce potentially stunning 3D models understanding a site more fully and producing material for engagement or promotion. POP is the interactive Public Opinion Poll app used to engage stakeholders in proposals and provide invaluable feedback. 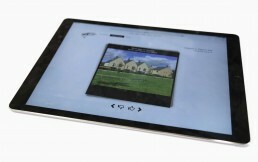 This public consultation tool is compatible with smartphones and tablets. The swipe cards provide ideas as to how development proposals could take shape, such as the design of housing, types of open space and local facilities. POP enables stakeholders to have their say on the ideas they like and dislike with a simple swipe of the finger, left if they dislike, right for those ideas they like. PIMS is a relational database for planning projects to enable the monitoring of planning conditions and obligations through the life cycle of the project. It has an intuitive web-map interface to allow the user to explore the spatial and tabular data, view related objects, export information and view files related to the project from a centralised source on any device. PIMS was developed to make monitoring more efficient and to ensure a high level of data confidence through reducing duplication and fragmentation. We offer bespoke visioning within our projects using the latest in 3D printing technology that combines our placemaking and masterplanning capabilities into physical scale models. The outputs can be used for masterplans, consultation events and on-going development options. 3D printing achieves a level of accuracy and detail that can really support our more traditional techniques. 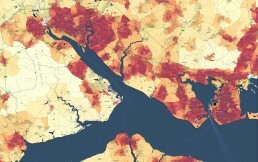 At DLA we have, as part of our GIS software suite, ArcGIS Online (AGOL). AGOL is an ESRI provided web-based mapping system which allows for greater sharing and collaboration between colleagues and external parties. The platform allows us to create and share interactive mapping, data and files in a secure, intuitive and accessible manner. Furthermore, AGOL utilises mobile technology, with applications available for data exploration and collection when in the field. This can be done online and offline to ensure the data and mapping are always available.